The Archangels- Who Are They and What Can They Help You With? 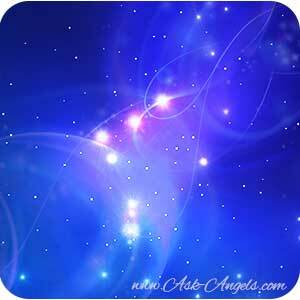 The Archangels are magnificent spiritual beings who vibrate with an incredible light and frequency. Each Archangel illuminates specific attributes and qualities of Creator, God, and of All That Is through the immense Divine Light and love they carry. Archangels are highly evolved spiritual beings of the light, who are more than willing to offer their love, guidance, healing,and support whenever we ask, but will not interfere without our permission. There is no one way to properly connect with or evoke the Archangels, but one thing is certain, by increasing your vibration first, and learning to open your subtle and psychic senses you're far more likely to connect with the high vibrational energy of the Archangels in a meaningful way. 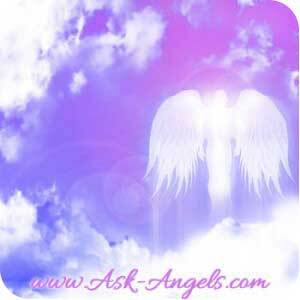 Most of the channeled messages I share on this site are with Archangels. 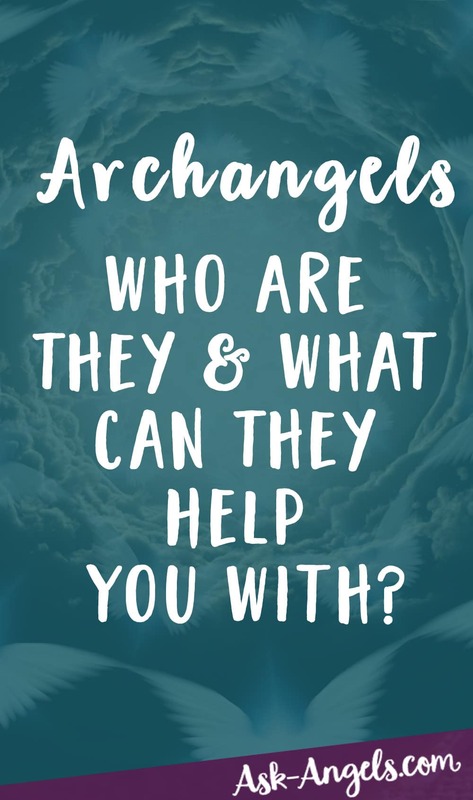 Click the links below to learn more about the specific Archangels and connect with their uplifting and empowering angel messages here. How Many Archangels Are There? There are far more Archangels than most people realize. Archangel Michael has recently shared with me that there are not tens or even hundreds of Archangels… But rather Thousands. Know that the reality, is there are far more Archangels serving behind the scenes. The most commonly known Archangels are those referenced in religious texts, and those whose missions most regularly interface with humanity. 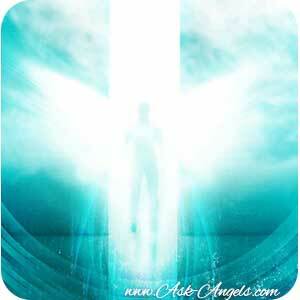 Gabriel is the Archangel of communication, new beginnings, and strength. 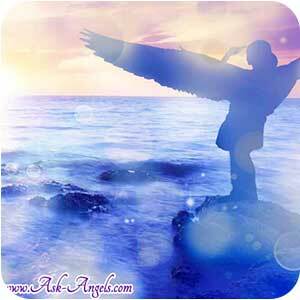 When called upon Gabriel will bring you inspiring divine messages to assist you in finding your highest calling. Gabriel also works closely with authors, teachers, artists, councilors and more! 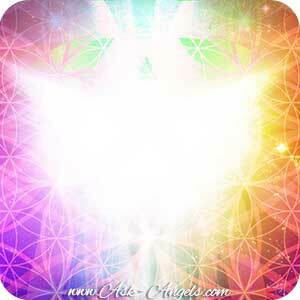 Archangel Metatron is a Divine record keeper and a powerful spiritual teacher. Often called the “Angel of Life” Metatron offers a link between Heaven and Earth and works around the clock to help those who are ready and willing, align with their highest and best possible path. Metatron can help you release what no longer serves you, so that you can tap into your inner connection with pure light..
Archangel Michael is a powerful Archangel of protection. Michael oversees guardian angels, and he will help you to release lower energies of fear or worry, so that you can open to experience the incredible love and light of the Angelic Ream, and live a fun, fulfilling and passionate life. 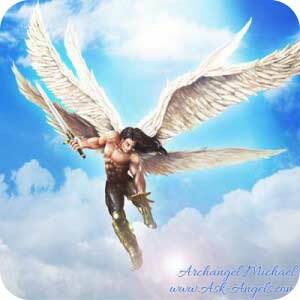 Archangel Michael is one of the easiest Archangels to hear, and also one of the most known. 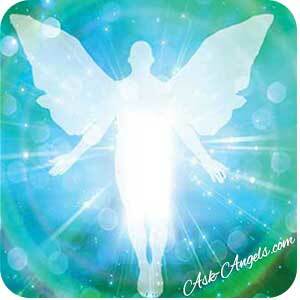 Archangel Raphael is the main archangel who oversees healing for living beings on Earth. He is a well know and incredibly powerful angelic being, who is ready, willing and waiting to connect with you directly if you so desire. Through the powerful divine guidance from Archangel Raphael, you can learn to activate and use your bodies innate ability to heal itself. Archangel Ariel is well known as the “Lioness of God”, as this is the direct translation of the name Ariel, or Arael in Herbew. But there’s more to Ariel, who is a powerful Archangel of abundance, happiness, and nature. Ariel closely works with animals, and the realms of nature and helps those whose missions are aligned with helping animals and the environment. 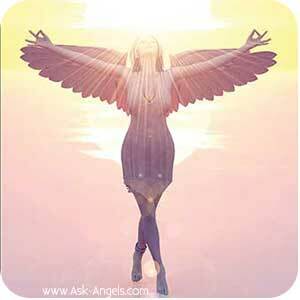 Archangel Haniel is an Archangel of energy, vitality, and passion for life. When called upon, Archangel Haniel will cleanse and transmit all worry and lower vibrations back into love with her blue orb of healing light. Archangel Haniel can also help you to awaken your psychic and spiritual abilities like energy healing, clairvoyance, intuition and inner strength. Orion is like the galactic Archangel… He is an incredibly powerful, cosmic, and love filled guide from the Celestial Realms. Archangel Orion offers powerful help with energy clearing, protection, releasing dark or negative energy (or entities), and on the lighter side he will help you to open to receive and understand the vast beauty, magic and high vibrational frequency present now. Jophiel is a wonderful ally to call upon when you need help seeing the beauty within and around you. She will help you to shift your perspective from focusing on what is wrong and bad, into seeing the positives, beauty and magic that is all around you. 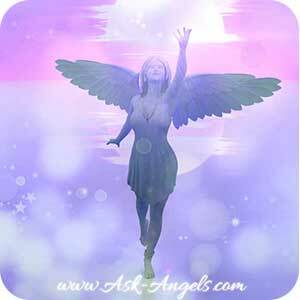 Archangel Muriel is a powerful and yet gentle Archangel of peace and harmony who oversees emotions, and intuition, with unconditional love and compassion. Archangel Muriel helps all who call upon her, but is especially connected to those who are empathic, or struggling with emotions. Muriel also assist individuals who are ready to open up intuitively to the next level. Archangel Uriel's name means “the Light of God,” and she is often depicted with an open hand… Holding forward a flame of light that is a gift of illumination for all human souls. The open hand of Archangel Uriel represents the openness and willingness to receive the love of God and to remain spiritually devoted. 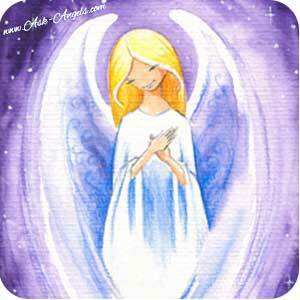 Uriel pours light upon the world illuminating humanity and helping us each along the path of enlightenment. Archangel Azraels name means “Whom God helps”. Archangel Azrael’s primary angelic responsibility is assisting souls in making the transition from physical life to the spirit world after death. 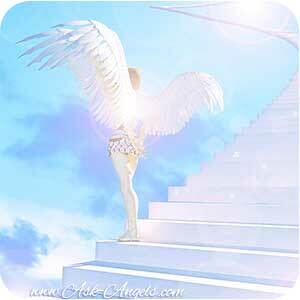 Archangel Azrael can also help you to complete a life review now. 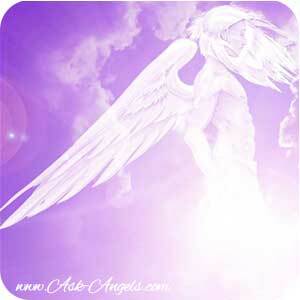 Archangel Zadkiel radiates joy, love, forgiveness, freedom and mercy. Zadkiel is connected to the seventh ray, or violet flame, and has such an uplifting vibration simply calling upon Archangel Zadkiel will cleanse and illuminate your vibration..
Archangel Chamuel is a powerful Archangel of protection, comfort, love, peace and compassion. Chamuel often works behind the scenes to help ease tension, alleviate burdens and rinse away fear and pain energy from your being. 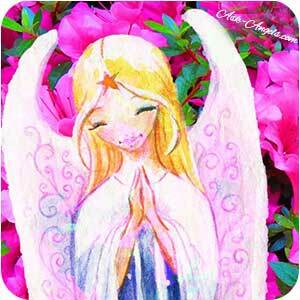 Call upon Archangel Chamuel to integrate Divine love and peace into your life now. Archangel Jeremiel assists with developing clairvoyance, receiving prophetic visions, understanding the meaning of dreams, and sorting through past memories to review your life. Call upon Archangel Jeremiel when you're ready and willing for help, and he will help resolve challenges and guide you to make changes which will impact your future in a positive way. Archangel Raziel is like the wizard of the Archangels as he holds the key to unlocking many of the secrets and mysteries of the Universe. Connecting with Raziel can help you to uncover new spiritual insights, develop your psychic abilities, remove blockages, increase your creativity, and tune into Divine magic and manifestation! Archangel Sandalphon is the Archangel of music, poetry and prayer and works closely with musicians. Sandalphon receives and delivers prayers to the Divine so they are clearly heard and answered. He also has a close connection to the crystalline grid, and the New Earth Energies. 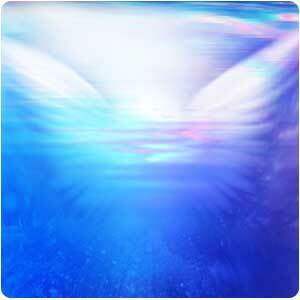 Archangel Sachiel is the archangel of water, wealth, success, abundance and prosperity. While the presence of Sachiel has been largely hidden from humanity, he is now stepping forward in a big way to help restore true abundance, love and harmony on Earth. I personally feel Sachiel is coming more into our awareness now that humanity is evolving beyond valuing money, profit and power in a higher regard than things like harmony, community, peace, and positive co-creation with all beings. 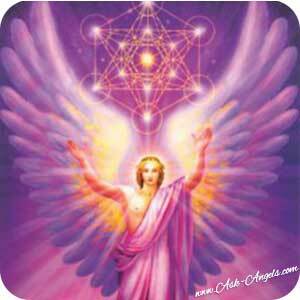 Archangel Christiel is an archangel of peace, love, balance and the Divine Feminine Christ Consciousness. Christiel offers powerful angelic support in helping you to stay centered in Christ Consciousness amidst any challenges, or struggles in your life… And in raising your vibration and expanding your awareness so you can embody a higher level of your Divine Christ Consciousness Light. Christiel has been largely unknown due to her* location and work presiding far outside of the 12-dimensional Earth realm, but she serves in bringing higher dimensional light and awareness to us in the Earth plane so by expanding our consciousness we can tune into her incredible help and presence. Archangel Raphael in the East. Archangel Uriel stands to the North.. Thank you for your protection, healing light, guidance, and divine communication. Thank you for connecting with me now. You can add in any additional Archangels you have a connection with or are drawn to connect with. 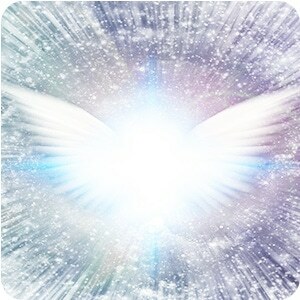 When you think or say these words and then quiet your mind, focus your awareness within upon the area of your heart, and with intention and practice you will experience the many blessings of connecting with the Archangels. For an expanded version of this process… Check out the Diamond Lightbody Activation here! Learn about the Council of Light here next! Please, how can I get to know my main purpose in life through GOd and archangels. And also how do I get to know the angels that work with me and how to connect with them.Because now I’ve reach a stage in my life i am confused,and afraid not to take the wrong step, your assistance will be appreciated, thanks. Ask for guidance. I’ve done this when I see the sun and the moon in the sky, but you can do this whenever. You will see signs, they will come from animals, peoples words, interactions with different things, like insects, wind, plants. A bird may swoop down very close to your car so slow you down. A car may cut in front of you for the same reason. Keep an eye open for numerology. ie repeating numbers. Clean what you eat and drink. Remove all fluoride from toothpaste, don’t drink fluoridated water in taps or bottles. Like anything your receptor is your 3rd eye and if it is calcified (very know fact) it may slow down the process dramatically. Peace and cheers! Hi. Thank you for all the learning you have imparted to us. I just have to share this incident and ask for help in decoding this. I was on the road going to work and I decided to “meditate” and ask my angels to connect to me and speak to me (was a passenger of the car so I was able to focus). Before anything else, I asked my guardian angel to let me know his name so that I may properly address him because I feel that this will make our connection deeper. After I asked my angel to reveal his name to me, the car swerved toward the right, and there in front of us was a Jeepney with a tail design which says CORREA JARETH. It was amazing. But still could not figure out what this could mean. Any help would be appreciated. Thanks in advance. Much like Christine (the comment below), I see and also feel an intense cleansing and energizing sensation from meditating while listening to your wonderful recordings. I am still very new to this site, and new to exploring this exciting spiritual aspect of my nature. However, both times so far when meditating to your content, I feel enveloped by a calming yet intense glowing blue light. I know personal results vary, and I’m still developing my metaphysical awareness, but this website has been the most purely loving experience, wholly encompassing everything I have been looking for in terms of personal enlightenment and overall satisfaction in this growing experience. Thank you so much for blessing us with the opportunity to achieve such an intimate connection with the Divine at our fingertips! Sometimes during meditation I receive a ‘light’ message meaning there is a strong color that appears in my minds eye. One of these is a very vibrant gold-yellow background with what looks like raindrops on a pane of glass. Blobs of pink then continually appear and dissolve away slowly on top of this background. The intensity of the pink blobs ranges from light pink at the edges graduating to smoky dark purple in the centers. It is very startling to see this. Can anybody help me with this? Actually, the invocation comes from ancient Hebrew, I believe the Torah, but I learned it from a Rabbi. Asking Michael to be my right hand, to stand beside me, to be within my energy…. Gabriel to be my left hand, to stand beside me, to be within my energy… Raphael to stand behind me, to be within my energy… Uriel to be before me, to be within my energy. Etc. And the Shekinah to be above me… there is more to it, but that’s it in a nutshell. Bright blessings. Great!!! I Felt the Energie immediately!! Thank you melanie for this wonderful learning about archangel guidance. Its worth it. Thanks Godbless more power. ? Thanks so much for this, it’s perfect. Blessings to you. I started Angeles meditation for a while. I can’t see them but I have 4 years old son. He said to me he started to see Angeles front of me. one with blue light and purple and green sumtime orange. he says they have wings. He says that they protection us from all bad things. Simply amazing!! Children are so precious and in tune with all things behind the veil. I have been studying Archangel from several years now, and I’m wondering why so many authors differ in what Archangels do and what their responsibilities are. Because I started with a different Author, I thought I learned what each of them were responsible for but, when I read other authors it differs. 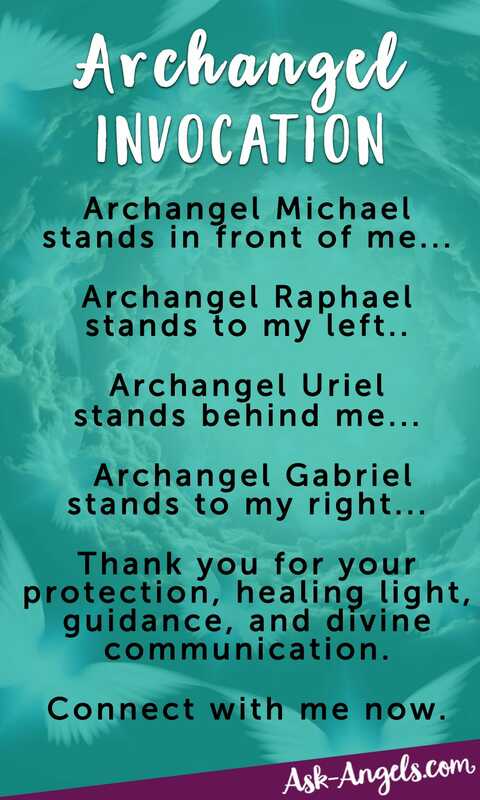 So, id there one main book that holds true across the board, because I use Archangels all the time and want to make sure that I am calling in the right ones for the work I do. Kiki, look into the more ancient books for your answers. Or, simply meditate on one of the AA, ask, see what they tell you. A book that literally hit me in the head some 25 years ago, was the Book of the Sacred Magic of Abramelin. Fascinating read, informative. No, it’s not specifically about the angels, but his life, written to his son, on his spiritual practice, a jewish sage. I am having a hard time chosing the best course for me at the moment. How would be the best to go about it? Bless all those involved in guiding Melanie from her lost self to the shining Way Show-er she is. Thank you Dana… Remember angels can be in many places at once, so there’s no waste in calling them to be by your side! I want to know if those who die and go to heaven are also becoming as angels and send back to us and we can communicate with them and ask them for help. Ooo… Me too!!! My recently deceased partner, said he would always be around to watch over & look after me after he passed on. However I read/heard somewhere recently that go through some sort of final review upon passing on (sounded sequestered) They way I understood it, it would be unlikely that he would be able to do that in this lifetime. They’re not technically becoming angels, but when our loved ones die and cross over into the light they do become quite angelic… And yes, sometimes step into the role of spiritual guides where we can then communicate with them, and they help out! This article was thoroughly enlightening. I finally understand who has been working on my behalf in addition to the Lord Jesus Christ. Since learning of the Archangels I’ve since called upon them & have felt their presence. I said a prayer today for a neighbor who has fallen ill & had to have major brain surgery. I sat with her husband-to-be & her brother to pray with them. I closed my eyes, quieted my mind, & asked that all of my Archangels who could aide my neighbor in her healing to please surround her with their protective healing light & begin to heal hear from within & that God keep her covered as she heals. The moment I called upon the Lord & my Archangels I felt a wave come over my body, the hairs on my arms stood on end, goosebumps raised upon my skin, & I teared up. Behind my closed eyelids I could see them hovering above her touching her. I cannot tell you how many there were. Their light was radiating so bright that it engulfed her to a point that I couldn’t see her anymore, only their light. I closed my prayer with a thank you to God & my Archangels & sealed it with an Amen. Upon opening my eyes, her brother immediately showed me his arms & said, “Look! I have chills too!” Her husband-to-be became emotional. I always knew I was different & special in my own way. I was recently ordained this year which now leads me to believe that being in touch with my Archangels is my destiny. My fate. I want to thank you for making this information available. 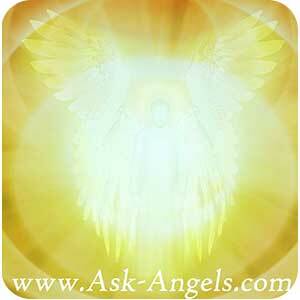 Thank you for assisting me to understand each Archangel & their purpose. It is much appreciated. 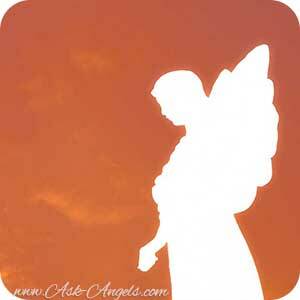 Why are most angels depicted as female? I would like to see more male angels. And not just the archangels.